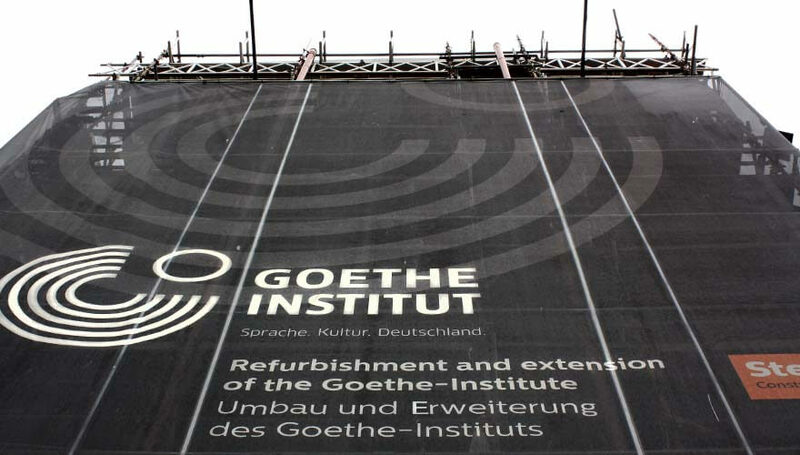 ‘Since it opened in 1961’, says the brochure, ‘the Goethe-Institut has broadened the professional and personal horizons of 50,000 people who have attended its German courses’. Currently housed in Fitzwilliam Square while it awaits the refurbishment and extension of its Merrion Square HQ round the corner, its director is Dr Thomas Lier. Thomas is from Bavaria. Don’t call him ‘Bavarian’, though. That, Dublin.ie learns, would be like calling a Cornishman ‘English’. Because Thomas is really a Franconian, from Wurzburg, and Franconia was an autonomous region until Napoleon kicked it into Bavaria. ‘Wurzburg has a very strong connection with Ireland, as you know’ says Thomas. Blank looks from Dublin.ie. He tries again: ‘you’ve heard of St Kilian?’. Yes! Turns out that the heathens Christianised by this famous Irish missionary were all Franconians. In fact Wurzburg’s cathedral (rebuilt after a devastating air raid in 1945) is named in the saint’s honour. And the city has an annual fair – it’s called Kiliani – on the occasion of his birthday (July 8th). Here in Dublin, Thomas’s three children attend St Kilian’s German school in Clonskeagh. Dublin.ie: You’ve been in Dublin now for two years with the institute. Where were you previously? 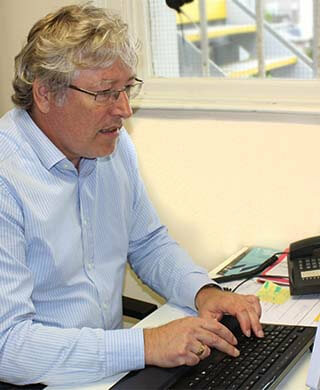 Dr Thomas Lier (DTL): My last posting was in Turkey. In fact my first posting was in Turkey too. I was there initially for five years. And then almost ten years in Egypt and Jordan, then back to Turkey. I was the head of the Institute in Ankara from 2009 to 2015. Dublin.ie: And how did you get into this line of work? Dublin.ie: You need to brush up on your Persian? DTL: Yes, I didn’t have the time to finish it, I’m afraid. Dublin.ie: The ability to speak German would of course increase anyone’s opportunities for employment in Dublin right now. But why else would you want to learn a new language? DTL: You open yourself up to a new world. It’s an intellectual adventure, from one point of view, and then you really are confronted with things you wouldn’t have realized existed before – things you would have had no contact with before. Yes, it opens up an understanding. Knowledge solves – or doesn’t even allow to exist – all these kinds of prejudices about ‘them’ and what ‘they’ do and all that stuff. Dublin.ie: Language is the key? 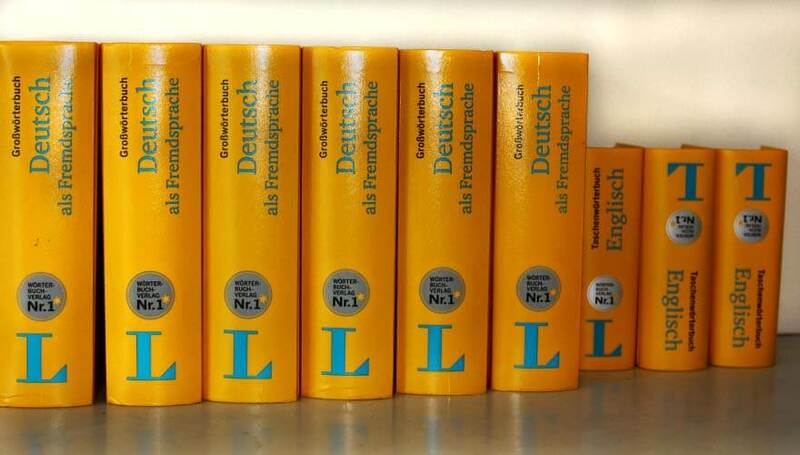 DTL: My personal approach has always been that if I want to get knowledge about a region I need to know the language…and our main aim here at the Institute is to inform people about Germany in all its contemporary variety. The language is integral to this – you can’t separate the two. Trying to get to grips with whatever you do is hard without knowing the language. Dublin.ie: Most of your experience has been in the Middle East. Do you miss that part of the world? DTL: Well, next week I’m going back there for a holiday so yes, I liked it there. My field of experience is in the Middle East. I have a PhD in the Ottoman history of Iraq. So I felt at home there and this is what I miss sometimes. I see the difference between my knowledge about Ireland and my knowledge about Turkey and its history. Of course I’m reading about Irish history and I’m trying to grab whatever I can grab. I’m catching up as fast as I can! Dublin.ie: As an Orientalist and an Arabist, have you spotted any similarities between Ireland and Turkey? DTL: I like the role that literature plays in Ireland. Sorry to say I haven’t found enough time to dive into it yet! But there is a special role for poetry in this country – and this is comparable to the situation in Turkey. Poetry has a role to play in these countries that goes beyond its role in Germany. There is a similarity between Turkey and Ireland in that sense so I’m interested in that. There are lots of events going on in this area which we support. Just recently we worked together with the French embassy, having a German/French/Irish literary event: modern literature and its translations. We looked too at the Irish language and its minority status. Dublin.ie: So you’re mastering Arabic. Are you planning to take up the study of Irish any time soon? DTL: This is a tough question! This is the first time I haven’t learned a language of the territory I’ve been posted to. And I don’t need to, like everybody else here. I am interested in the end – but at the same time I’m fighting for my Persian. And my French needs a little attention too, so this is my inner conflict! Dublin.ie: One final question. Despite German being the language of Goethe, Kafka, Mozart, Bach and Beethoven it can seem that Dubliners are less well acquainted with the country’s culture than they are with France’s, for instance. If there was one piece of German culture you could get people here to experience, what would it be? DTL: There will be an interesting exhibition of works by German artist Käthe Kollwitz [1867-1945] at the National Gallery of Ireland. It’s called Life, Death and War. There’s going to be 38 of her works, on loan from the Staatsgalerie, Stuttgart, and we’re cooperating with the NGI in organising additional supporting events. The exhibition will run until the middle of December. We’ll be showing a film about her and two concerts of music of the time which will reflect her status as one of the best known pacifist artists of the twentieth century. Thomas also commends the fascinating and moving Voices of Memory – a sound art installation at Islandbridge Memorial Gardens by Christina Kubisch – to Dubliners’ attention. Goethe-Institut provides courses in the German language and a window onto German culture all year long. The room is bustling with heated, animated conversation. There’s around 50 people gathered in three groups focusing on different areas of the problem in hand. The groups sit in circles, debating, brainstorming. You hear snippets here and there: “A PR launch in the Mansion House or Smock Alley?…Overcoming the stigma of being in care…The trauma of a kid in care turning 18 and suddenly just being thrown out onto the street?…Think in images.” We’re hearing the language of political engagement. Of lobbying. Of activism.